If you have ever tried to turn on a flashlight only to realize the battery no longer works, you are familiar with the importance of battery maintenance and monitoring. Yes, it is on a smaller scale, but it illustrates the problem. If a room is dark and you need light, that worn out battery will do you no good and you will be left in the dark. The same holds true for a data center. Maintenance and monitoring are the key to ensuring your backup battery and power supply will function when you need it most. Proper monitoring and maintenance will not only ensure that a battery is not dead, but also that a battery is capable of handling required power loads. So often, backup power supply is inadequate because routine maintenance and monitoring was neglected and when the need arose, it was already too late. Downtime is dreaded among data center managers, and for good reason. Data Center Knowledge points out just how costly a single minute (yes, just one minute!) can be for a data center,” Unplanned data center outages are expensive, and the cost of downtime is rising, according to a new study. The average cost per minute of unplanned downtime is now $7,900, up a staggering 41 percent from $5,600 per minute in 2010, according to a survey from the Ponemon Institute, which was sponsored by Emerson Network Power. The two organizations first partnered in 2010 to calculate costs associated with downtime. Downtime is getting more expensive as data centers become more valuable to their operators. The increase is driven by the increased value of the business operations being supported by the data center, the survey indicated.” And, we do not even need to point out the fact that this study was conducted in 2010, 5 years ago, which means that data center downtime is likely even more staggeringly costly now. One of the best ways to ensure that your data center does not experience costly downtime is to properly maintain and monitor your backup power supply. 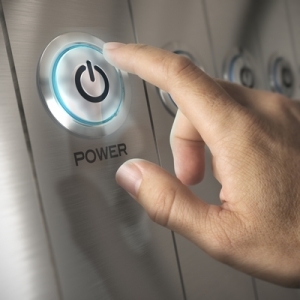 A data center’s uninterruptible power supply (UPS) is only as good as the battery it depends on. If the battery fails, it is far from “uninterruptible.” And, maintenance and monitoring must be complete and thorough because even a partial outage will be costly. While we discussed the cost per minute above, it is important to note that most outages do not last only one minute – far from it. Data Center Knowledge goes on to note that data center outages are often quite lengthy, ” The average reported incident length was 86 minutes, resulting in average cost per incident of approximately $690,200. (In 2010 it was 97 minutes at approximately $505,500.) For a total data center outage, which had an average recovery time of 119 minutes, average costs were approximately $901,500. (In 2010, it was 134 minutes at about $680,700.) For a partial data center outage, which averaged 56 minutes in length, average costs were approximately $350,400. (In 2010, it was 59 minutes at approximately $258,000. )” Battery maintenance and monitoring should be a part of any data center routine maintenance and continuous monitoring strategy and if not, it could cost millions! It is critical that data center managers do not rely on battery manufacturer’s strategy battery life expectancies. By putting all your eggs in that basket, you rely heavily on controlled test environments which are often vastly different than real applications in an actual data center environment. Most data centers have experienced an outage in the last year or two but that does not mean it has to be your data center. By performing visual inspections and using a quality monitoring service you can prevent a large number of unnecessary outages from occurring, potentially saving hundreds of thousands of dollars for your business and keeping your clients happy. This entry was posted in Back-up Power Industry, Facility Maintenance. Bookmark the permalink.